It’s almost October, so this means it’s pumpkin season! I’m so looking forward to delicious vegan pumpkin recipes in the next couple of months. 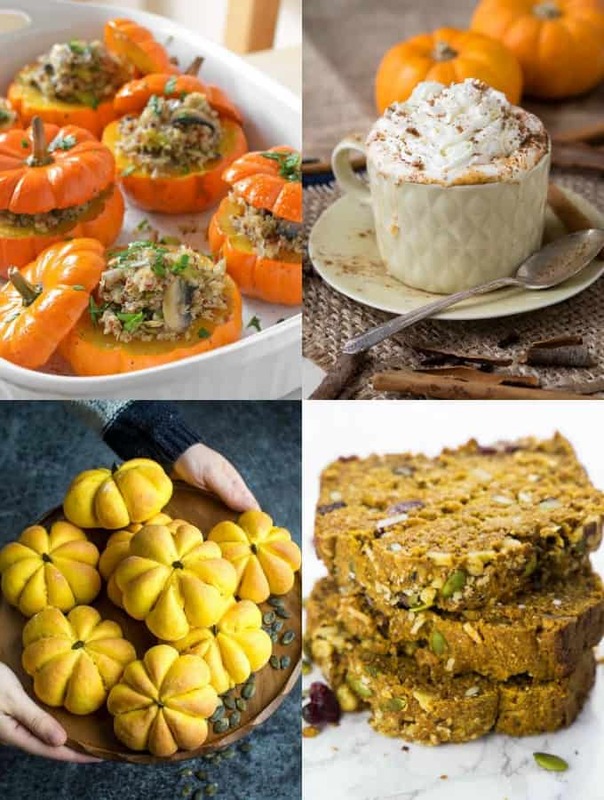 If you like pumpkins as much as I do, you’ll LOVE this roundup of 36 stunning vegan pumpkin recipes! It’s this time of year again when I can’t stop eating pumpkin! I’m a total pumpkin addict and can’t get enough of it in the fall. So of course I had to put together a massive roundup of delicious vegan pumpkin recipes for the blog. As always, I teamed up with some great fellow food bloggers to provide you with this list. Just click on the heading of each photo to see the actual recipe. 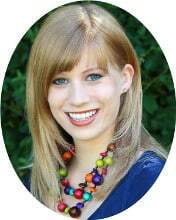 The roundup is divided into savory vegan pumpkin recipes and sweet vegan pumpkin recipes. We’ve got 15 vegan dessert recipes using pumpkin and 20 savory recipes. and sooo much more! Pumpkin to the max so to say!! 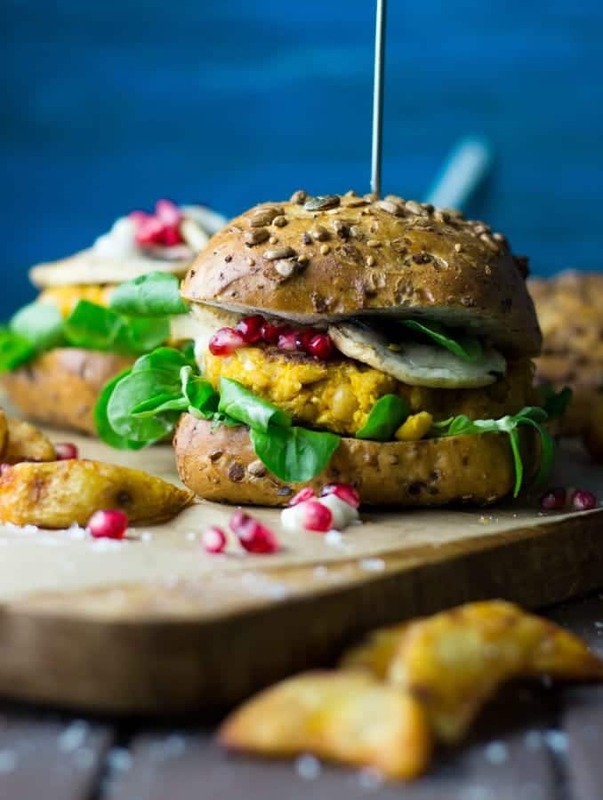 This vegan pumpkin burger with lamb’s lettuce, mushrooms, pomegranate, and garlic mayonnaise is just perfect for fall! It’s super healthy and insanely delicious! And unlike many other veggie patties, the patty of this pumpkin burger is really firm. 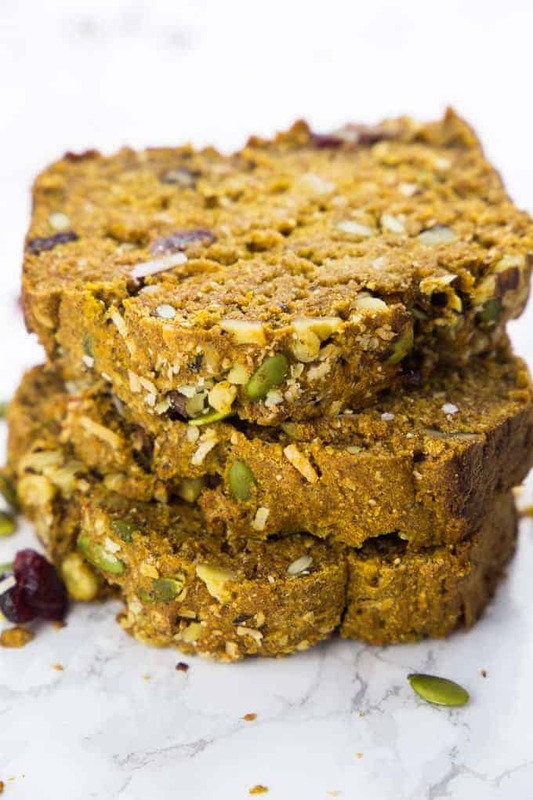 This vegan pumpkin bread with cranberries and pumpkin seeds is the perfect fall treat! Fragrant with pumpkin spice and chopped walnuts, this vegan pumpkin bread is a must when summer comes to an end! I like having this easy pumpkin bread for breakfast or as a snack in the afternoon. 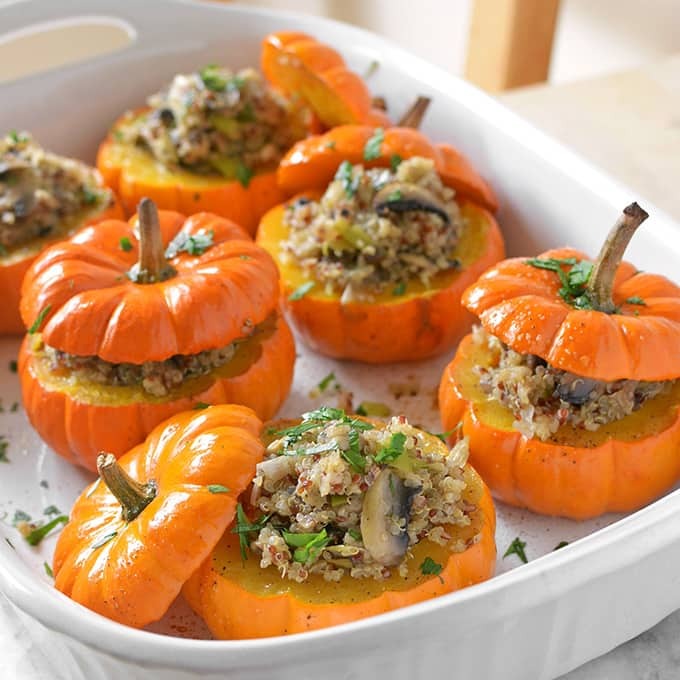 If you’re looking for an appetizer to bring to a fall gathering, these mushroom and quinoa stuffed mini pumpkins by Rachel from Simple Seasonal are perfect! They’re easy to make and super delicious and healthy. And don’t they look adorable? Tracy from Vanilla And Bean used kabocha for this vegan chili, which is a sweeter cousin of pumpkin. However, you can just use regular pureed pumpkin if you want. 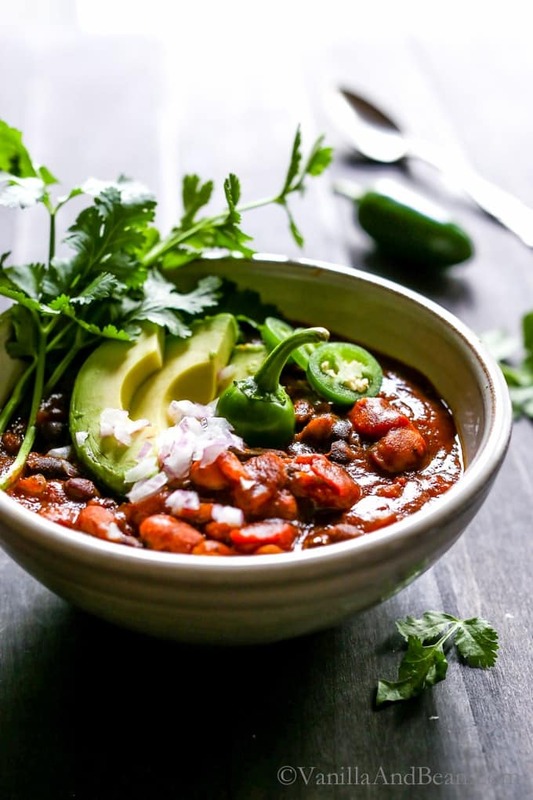 This two bean chili with fire roasted tomatoes and warming spices is perfect for a cold fall night! So comforting! 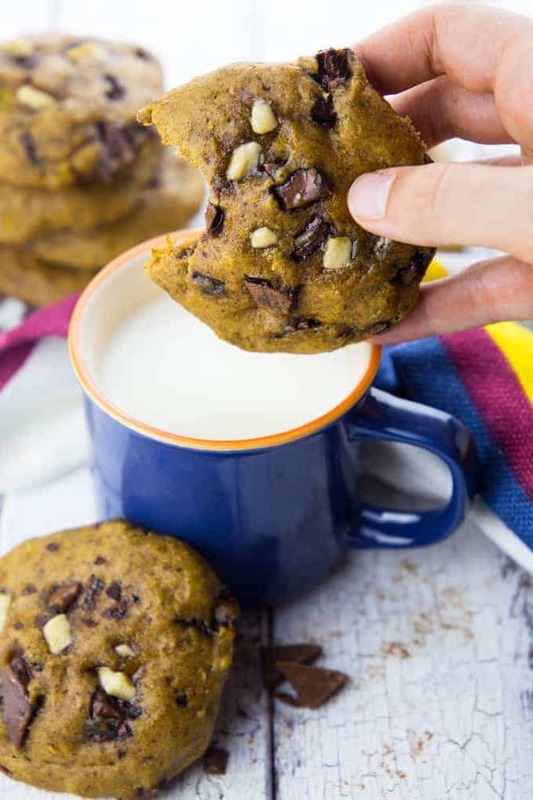 These vegan pumpkin cookies with huge chocolate chunks are the perfect sweet treat for fall days! They’re super easy to make and they’re so incredibly delicious! I couldn’t decide between white and dark chocolate chunks, so I just used both. I mean you can never have enough of chocolate right? 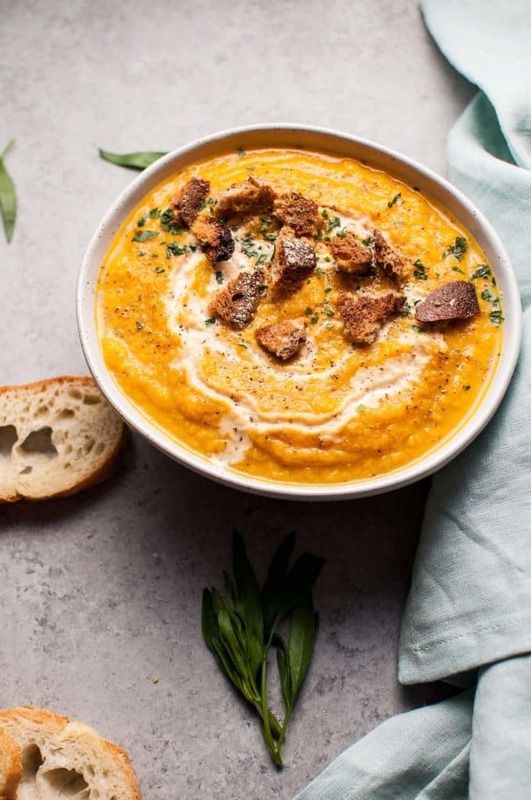 And of course I had to include a vegan pumpkin soup in this roundup of vegan pumpkin recipes! Doesn’t this Thai pumpkin soup by Jyothi from Curry Trail look delicious? It’s packed with flavor! 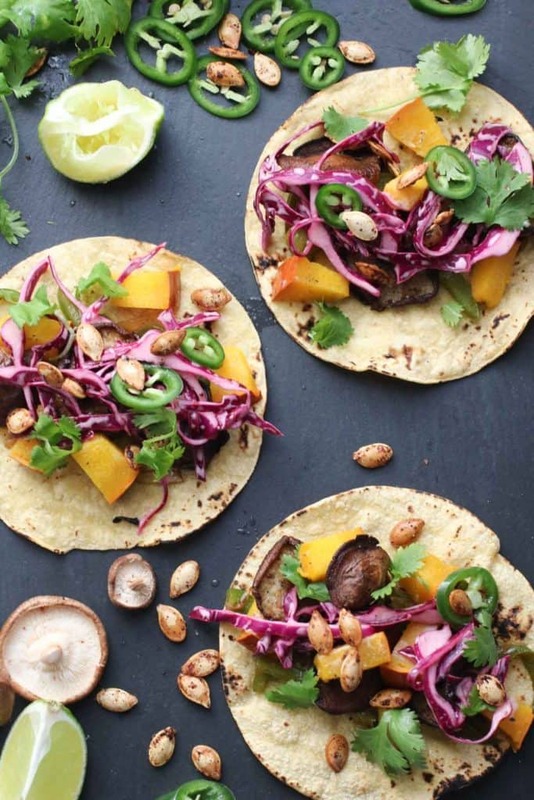 These vegan pumpkin shiitake tacos by Abra from Abra’s Kitchen are a great combination of creamy pumpkin and earthy shiitake. Besides, Abra added crunchy lime slaw and spiced pumpkin seeds. All in all, these tacos are ready in 40 minutes. 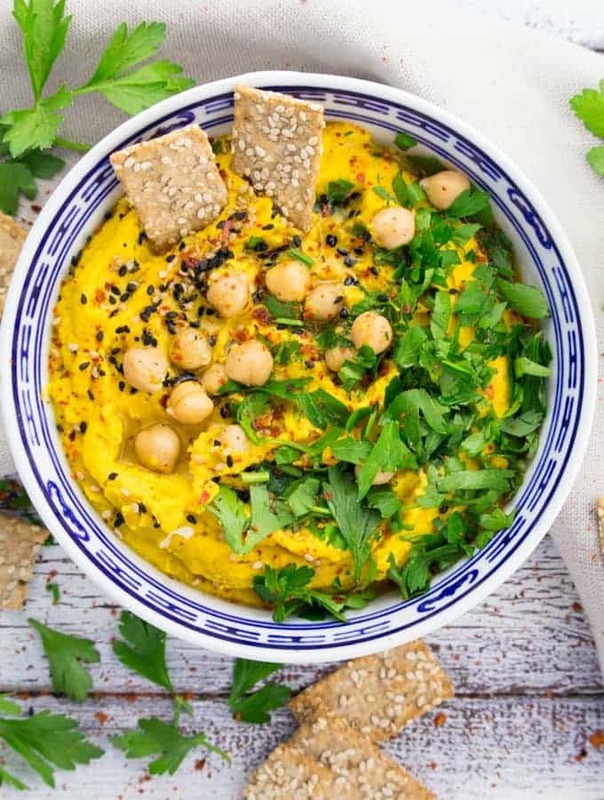 This pumpkin hummus with fresh parsley and sesame seeds is the perfect snack or appetizer for fall! It’s super delicious, packed with protein, and really easy to make! This stuffed pumpkin recipe by Susan from The View from Great Island is a great side dish or vegetarian main course for Thanksgiving! Or of course for any other dinner in the fall. 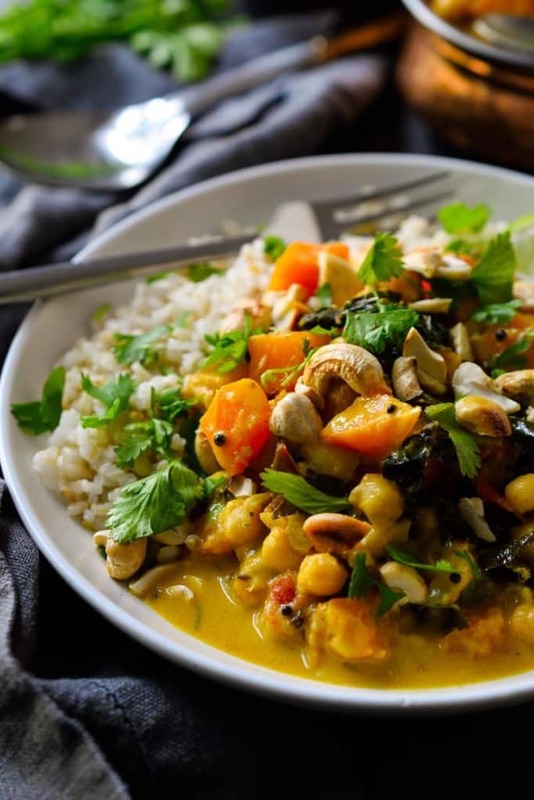 This vegan pumpkin curry with chickpeas and kale by Melissa from Cilantro & Citronella is super nutritious and delicious. It’s easy to prepare and perfect for fall. However, it’s delicious all year round! 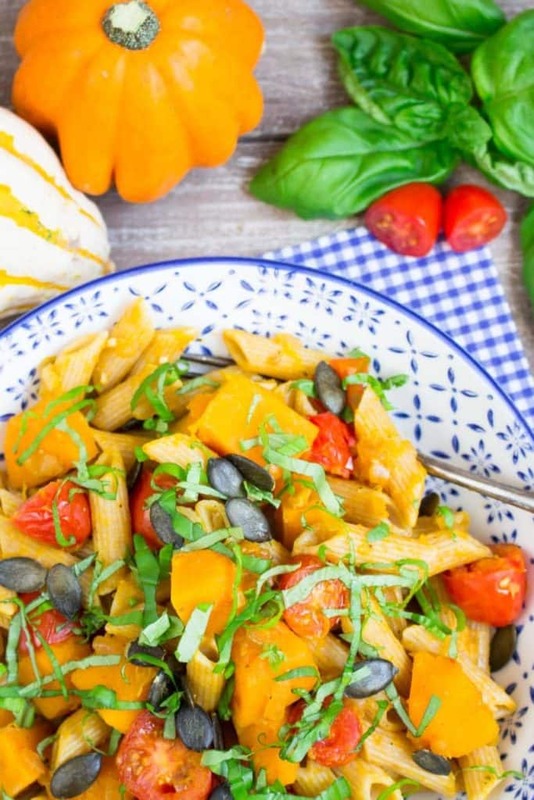 This vegan pumpkin pasta with tomatoes and basil is perfect for pumpkin addicts and pasta lovers alike. It’s ready in less than half an hour! It’s got both, the sunny and fresh flavors of basil and fresh cherry tomatoes as well as the hearty touch of pumpkin, making it perfect for early fall. Pancakes don’t always have to be sweet. 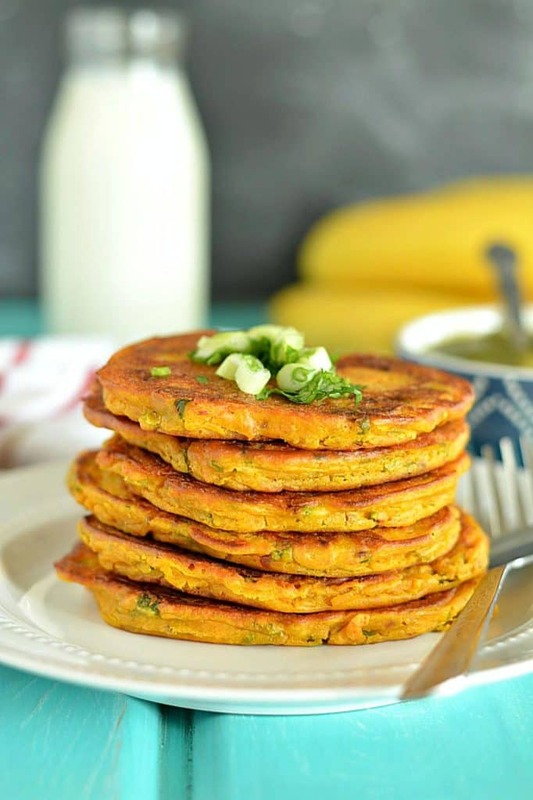 Try these savory pumpkin pancakes by Ruchi from Ruchis Kitchen for a change. They’re crispy on the outside and incredibly moist in the middle. And they’re vegan and gluten-free! Taquitos meet pumpkin! 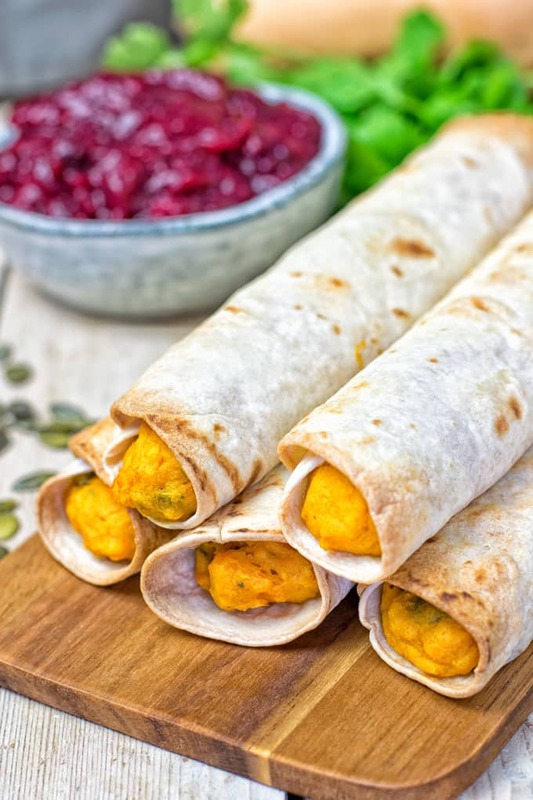 You only need six ingredients for these pumpkin vegan cream cheese taquitos by Florian from Contentedness Cooking. And the recipe couldn’t be easier, you only need to follow two easy steps. 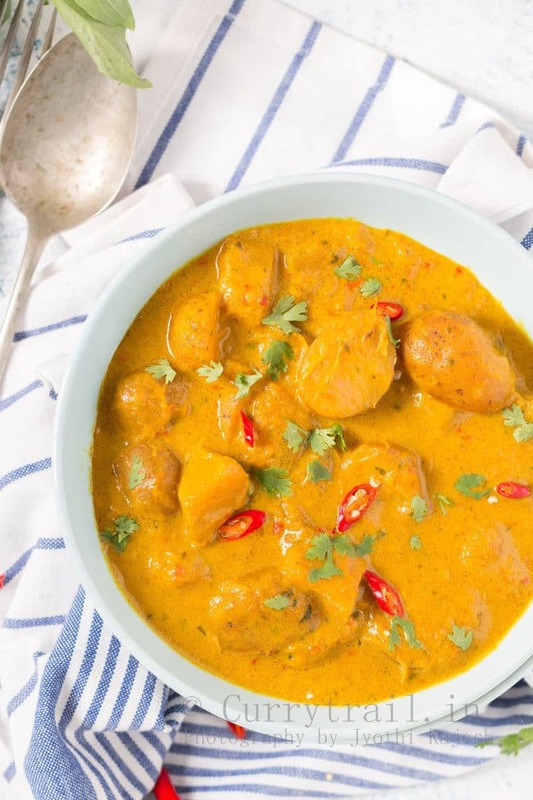 If you’re looking for a creamy and spicy Thai curry, this pumpkin curry by Jyothi from Curry Trail is perfect for you. It’s silky, easy to make, and delicious. And sooo comforting! 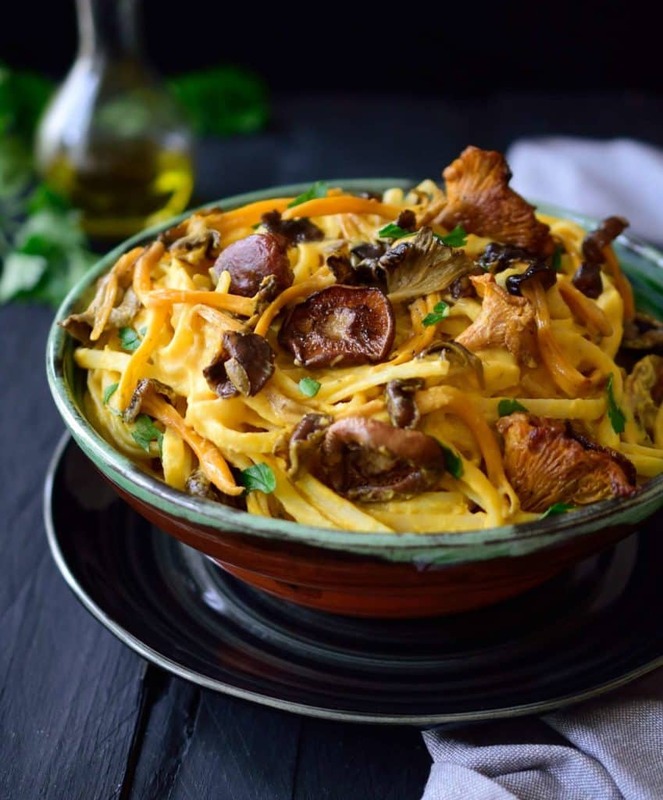 Vegan pumpkin pasta sauce with wild mushrooms by Melissa from Cilantro & Citronella is an easy and healthy recipe that is perfect for a comforting dinner in the fall. Melissa used an easy 4-ingredient pumpkin sauce that is tossed with pasta and topped with sautéed mushrooms and herbs. 30 minutes is all you need for this fall pasta dish! These gluten-free pumpkin gnoochi by Vicky from Avocado Pesto make a delicious and festive winter dinner! 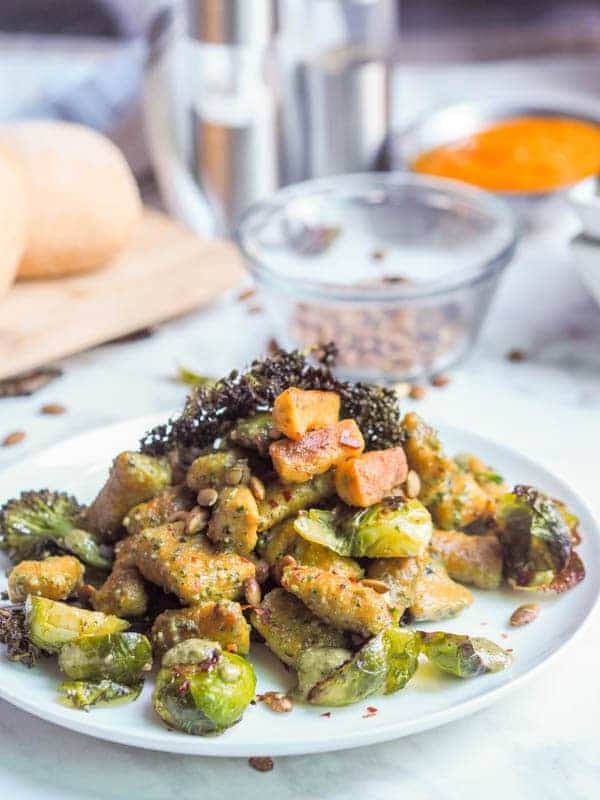 Vicky served the gnocchi with vegan basil pesto, oven roasted broccoli, brussels sprouts and pumpkin seeds. 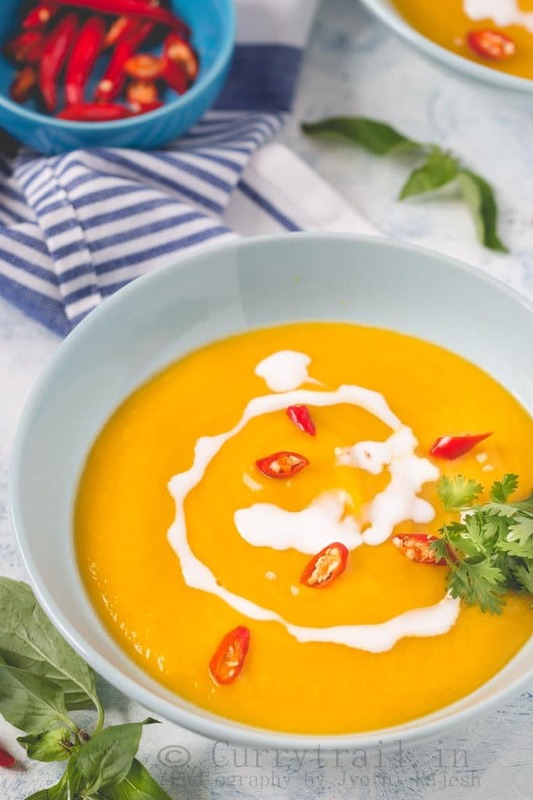 This pumpkin and cauliflower soup with ginger by Natasha from Salt & Lavender is not only thick and hearty but also super healthy. And so comforting! The ginger gives it a little zing, warming you up further. 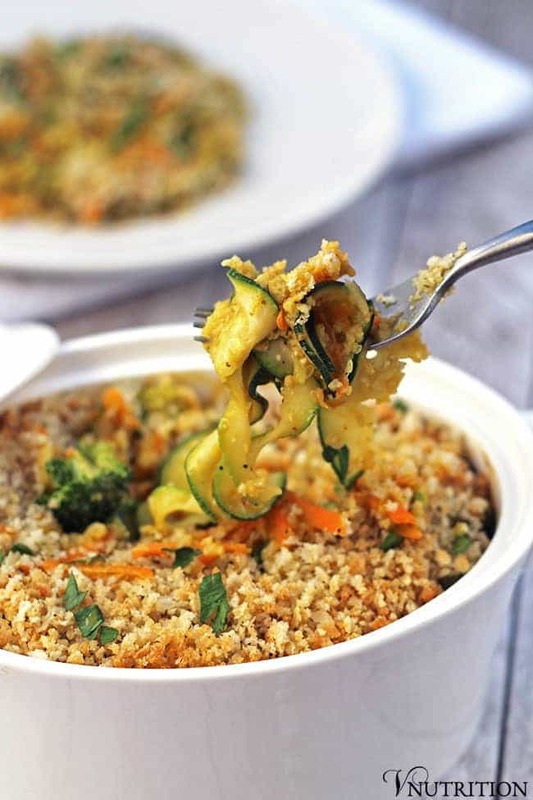 This vegan and gluten-free pumpkin vegetable casserole by Mary Ellen from VNutrition is a great way to put a veggie-filled dish on the table. And it’s so tasty that no one will even realize how healthy it is! 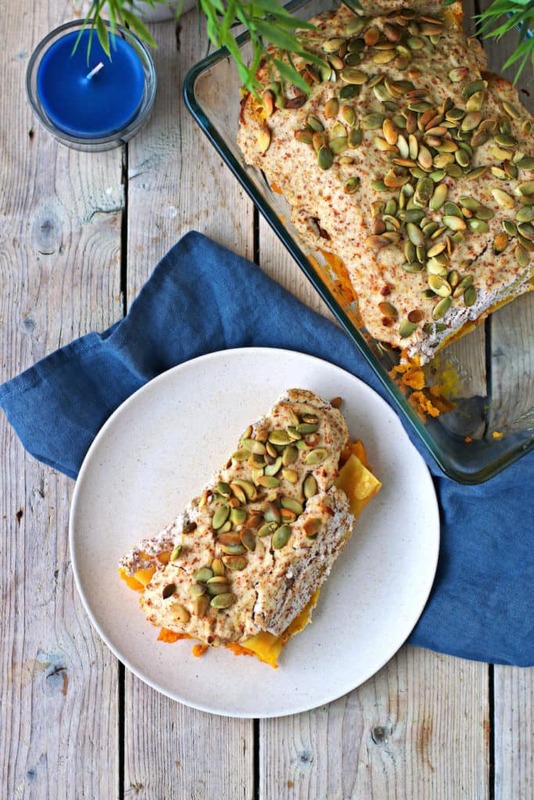 Maybe these pumpkin cannelloni by Florian from Contentedness Cooking are not a typical cannelloni recipe, but it’s super delicious and perfect for fall! Florian used a filling made from pumpkin, onions, and cranberries and topped it with an amazing almond crust. 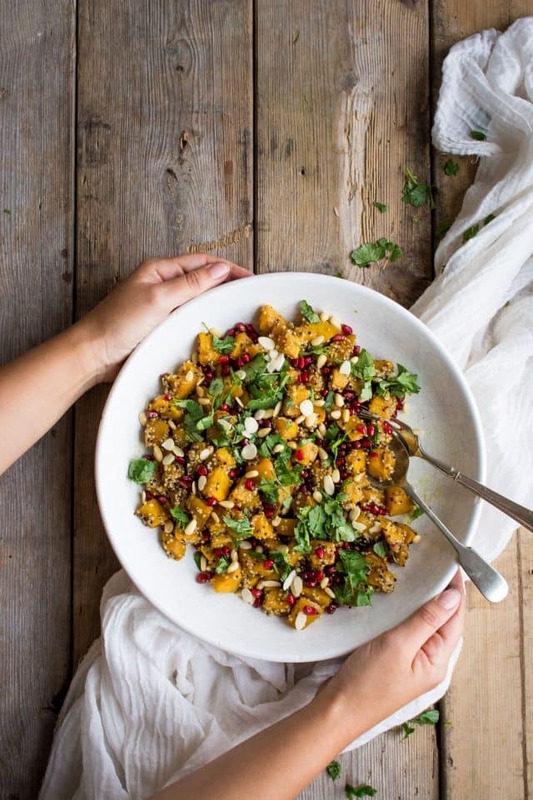 This marinated pumpkin salad with quinoa by Lauren from Lauren Caris Cooks is the perfect combination of sweet and savory flavors. Lauren paired pumpkin, quinoa, and fresh herbs with sweet pomegranate seeds. Easy, healthy, and delicious! Are you looking for a baking recipe for a a cozy fall weekend? 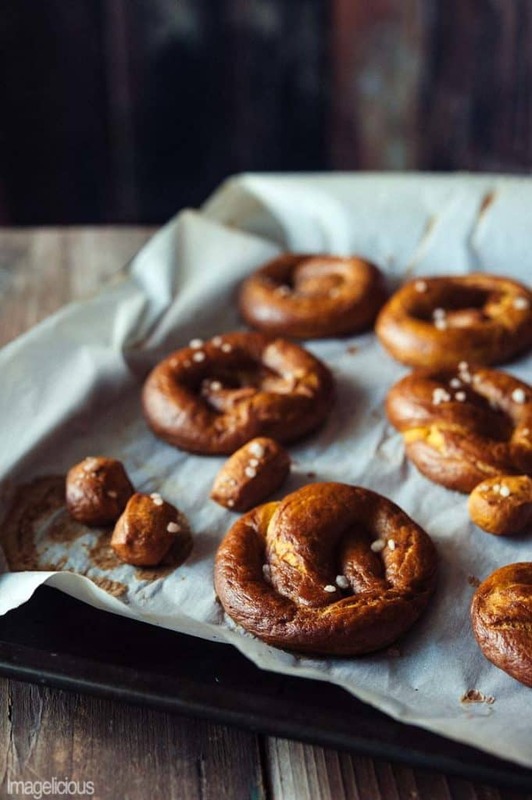 Then try these pumpkin and chili oil infused pretzels by Julia from Imagelicious! They’re easy to make and pleasantly spicy. And of course they’re vegan! 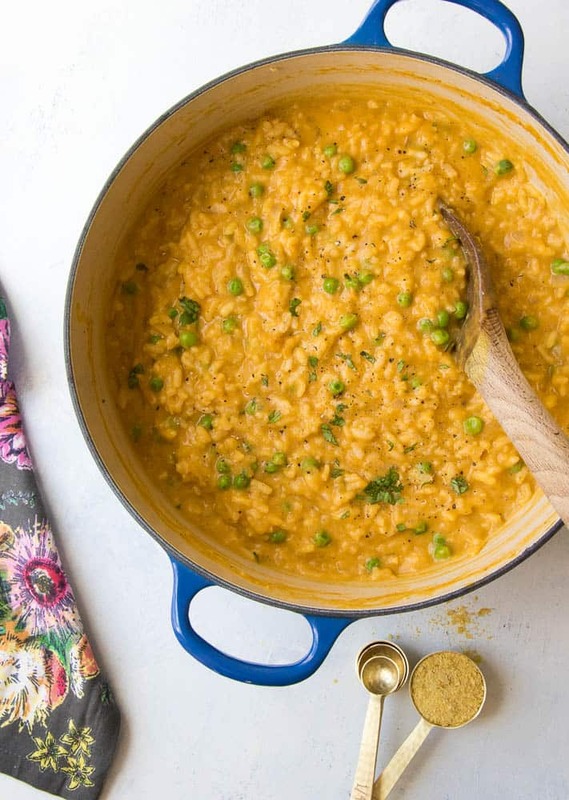 I absolutely love risotto and this vegan pumpkin risotto by Elaine from Eating by Elaine looks like such a great fall version! It’s much lighter and healthier than traditional risotto that is full of butter and loads of cheese. 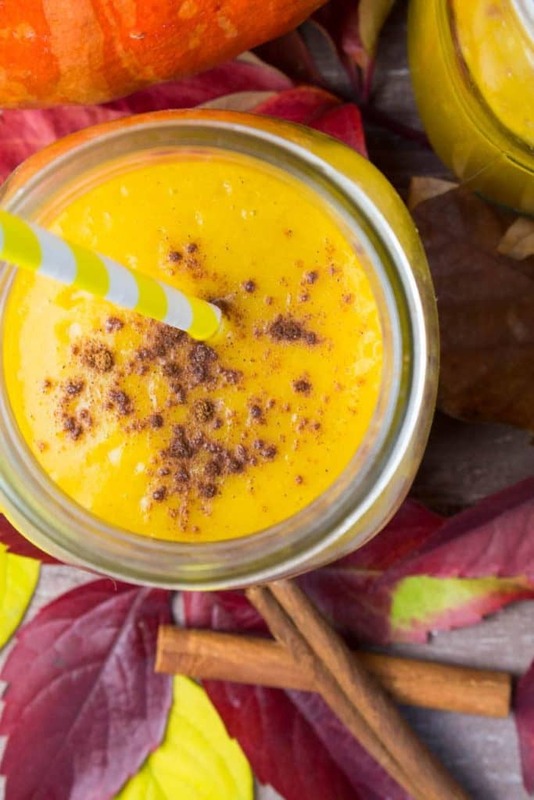 This vegan pumpkin pie smoothie with cinnamon tastes like liquid pumpkin pie. Kind of like pumpkin pie for lazy people. Super easy to make and SO yummy! 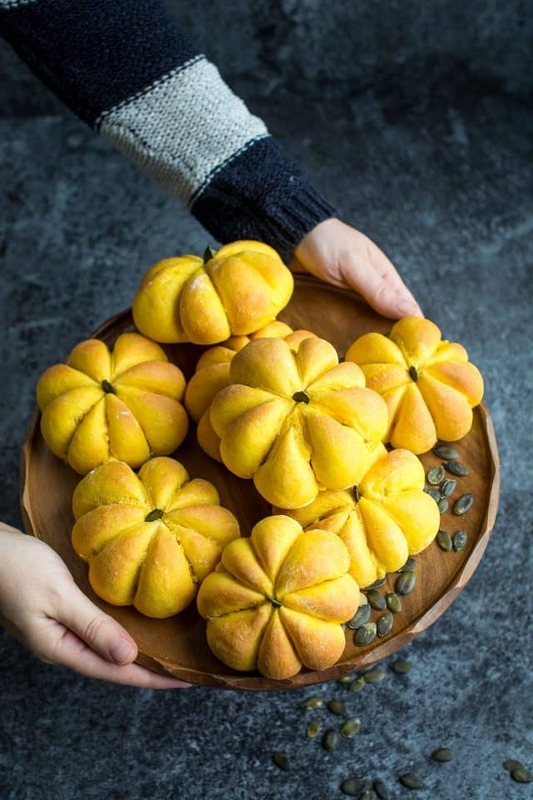 Don’t these vegan pumpkin bread rolls by Lauren from Lauren Caris Cooks look super cute? They are soft, fluffy, and super easy to make. And they make such a great centerpiece for a party! 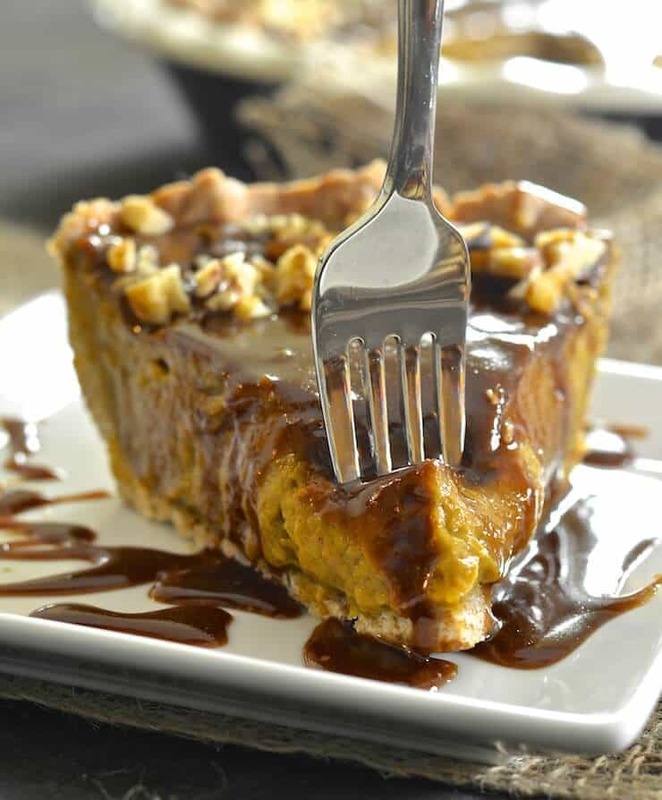 And of course we need a vegan pumpkin pie for this roundup of vegan pumpkin recipes! This creamy and smooth vegan pumpkin pie by Sophia from Veggies Don’t Bite is a dream come true! It’s plant-based, vegan and refined sugar free. 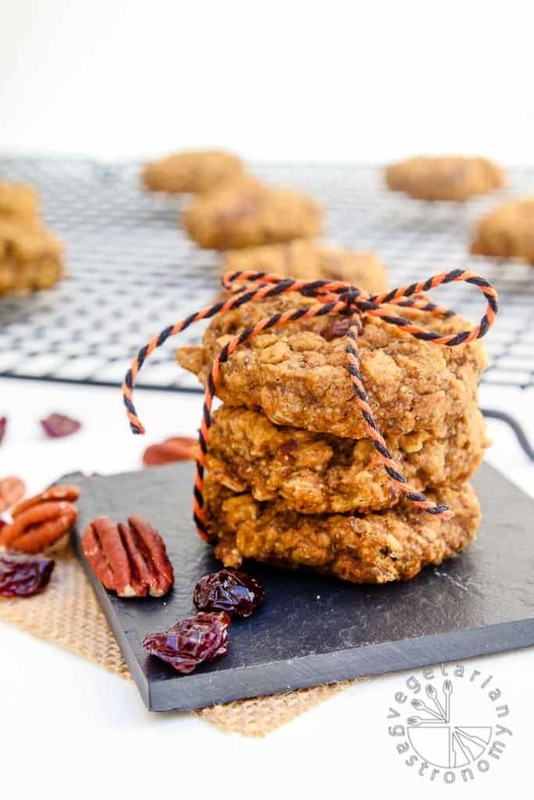 These pumpkin pecan cookies by Anjali from Vegetarian Gastronomy are a perfect grab-and-go breakfast or snack. They’re vegan, gluten-free, healthy cookie is full of fall flavors! 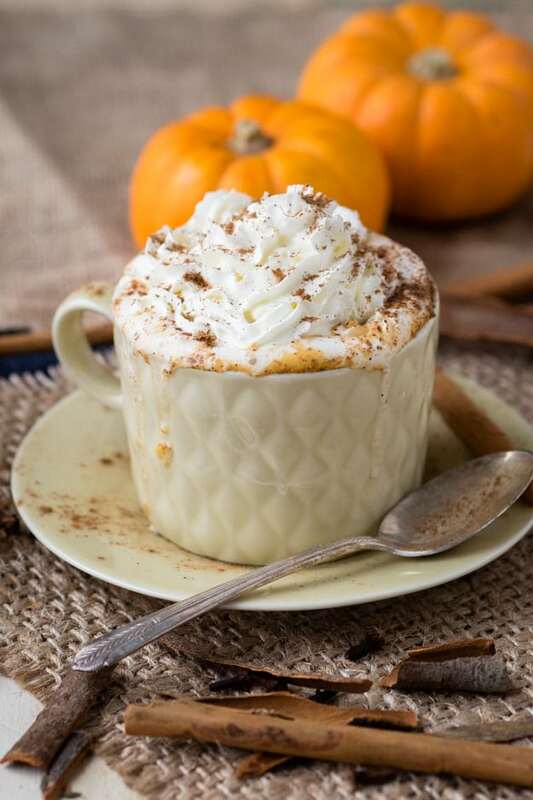 If you’re looking for something cozy, this hot pumpkin spice drink by Tina from Worktop is exactly what you need! Just use a dairy-free whipped cream (for example coconut-based) to make it vegan. 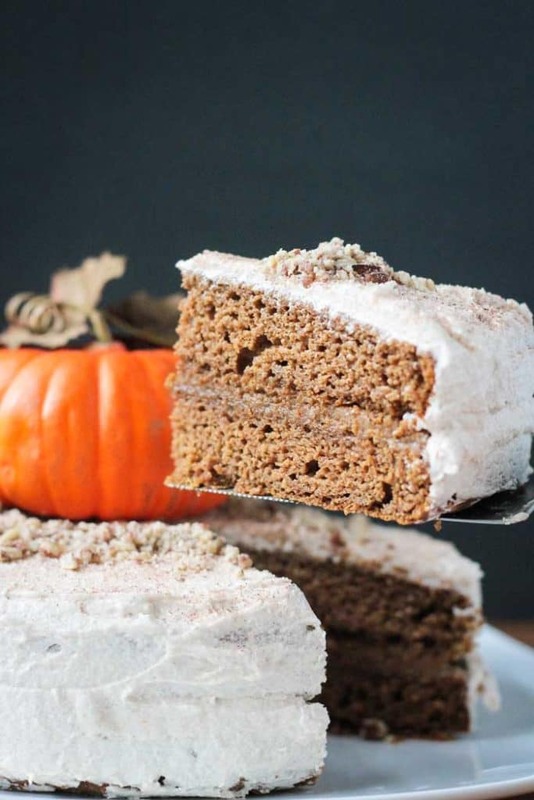 This pumpkin layer cake with chai spices by Jenn from Veggie Inspired looks like heaven! Jenn used a thin layer of pumpkin cashew filling and topped it off with a creamy dairy-free buttercream frosting. 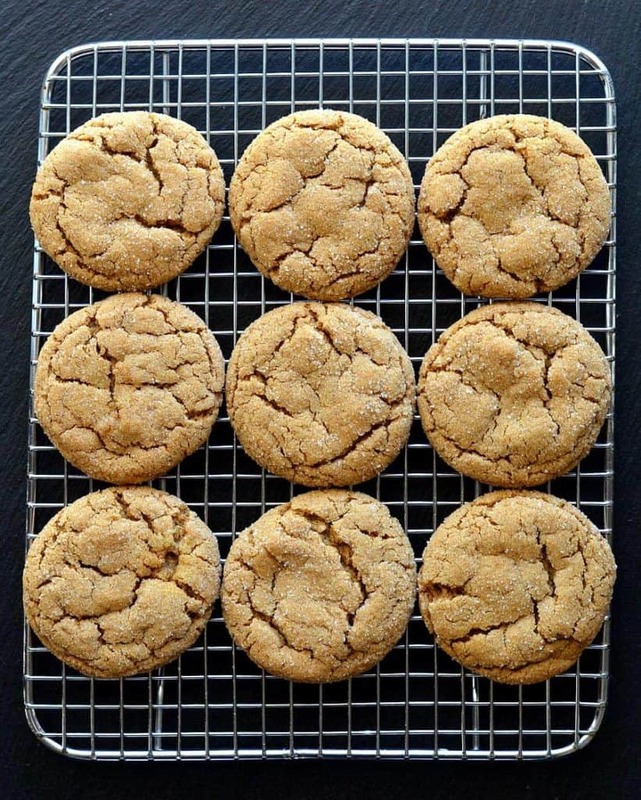 If you like pumpkin as much as we do, you will love these pumpkin ginger cookies by Aimee from The Veg Life. They’re soft and super easy to make! And don’t they look delicious? 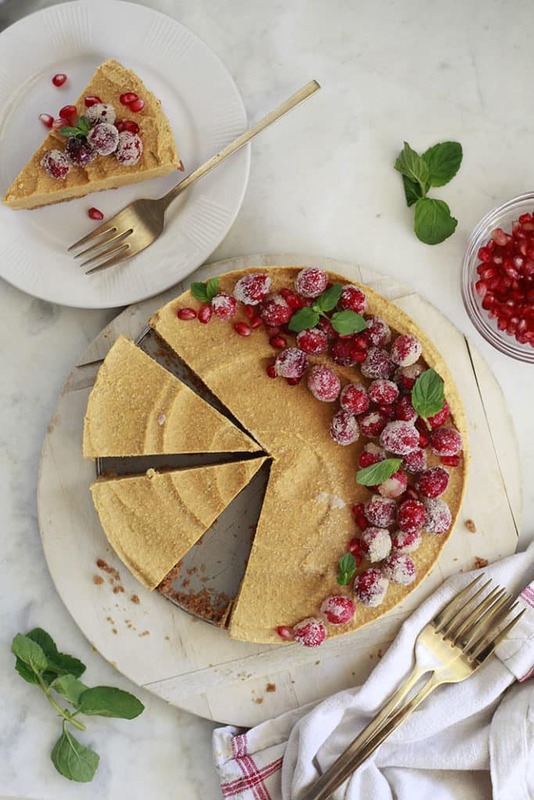 This easy, healthier vegan pumpkin cheesecake by Maria from Yummy Mummy Kitchen is just as delicious as the original. It makes a delicious dessert for Thanksgiving or any fall day. 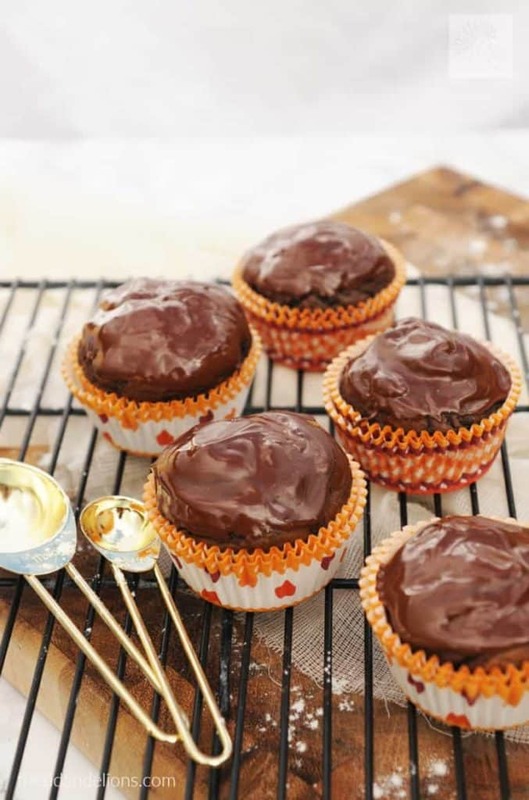 Can you believe that these sweet decadent vegan pumpkin cupcakes by Sophia from Veggies Don’t Bite are made without processed ingredients? They contain no gluten, oil, or refined sugar. And they turned out so delicious, moist, and fluffy! 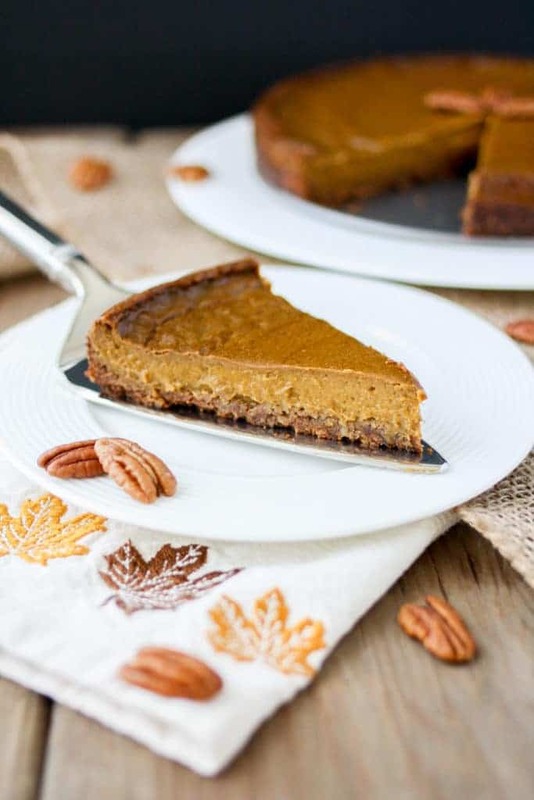 We’ve already got a vegan pumpkin pie in this vegan pumpkin recipes roundup, but just look at this pumpkin pie by Melanie from A Virtual Vegan! It looks soooo good! Melanie made a velvety smooth, soft and custardy pumpkin pie with a delicious crisp pastry crust. And on top she added a drizzle of warm caramel sauce. Yummy! 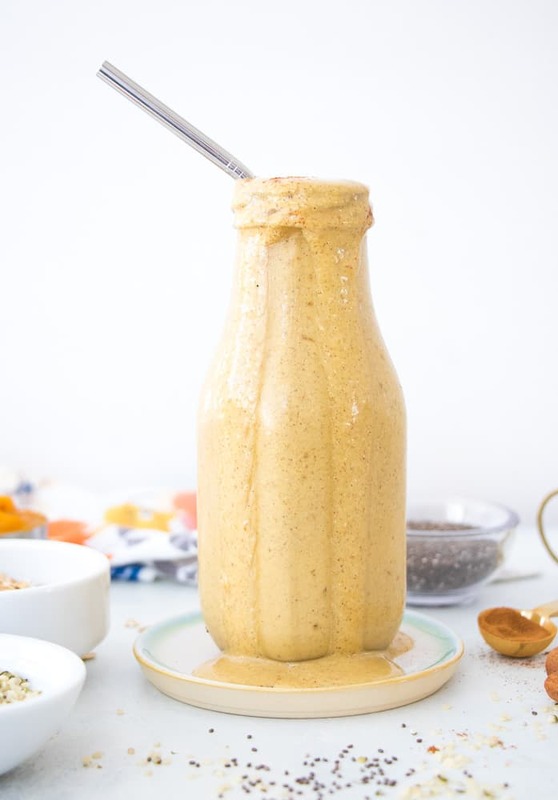 This protein pumpkin shake by Elaine from Eating by Elaine is full of good ingredients. It’s protein-rich, fiber-rich, and full of healthy fats. Perfect after a workout! 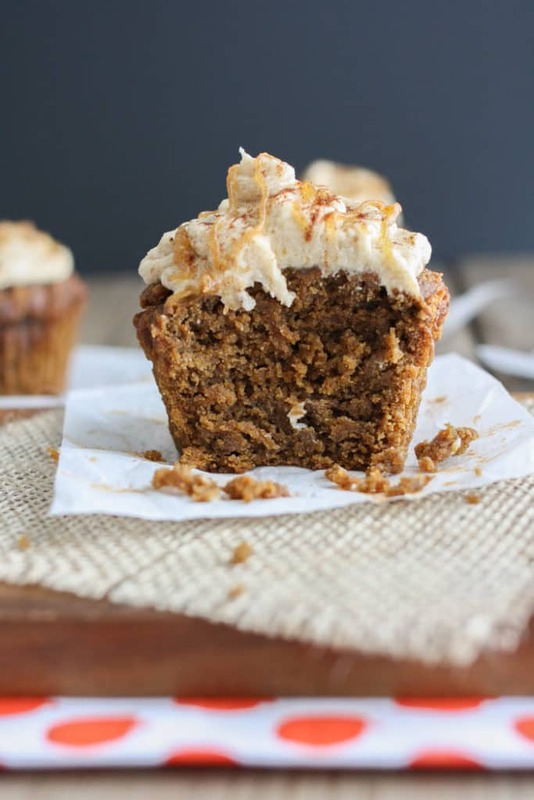 These pumpkin spice cupcakes by Sarah from Fried Dandelions are perfect for fall! Or maybe you could even make them as a little treat for Thanksgiving? Or what about pumpkin donuts? 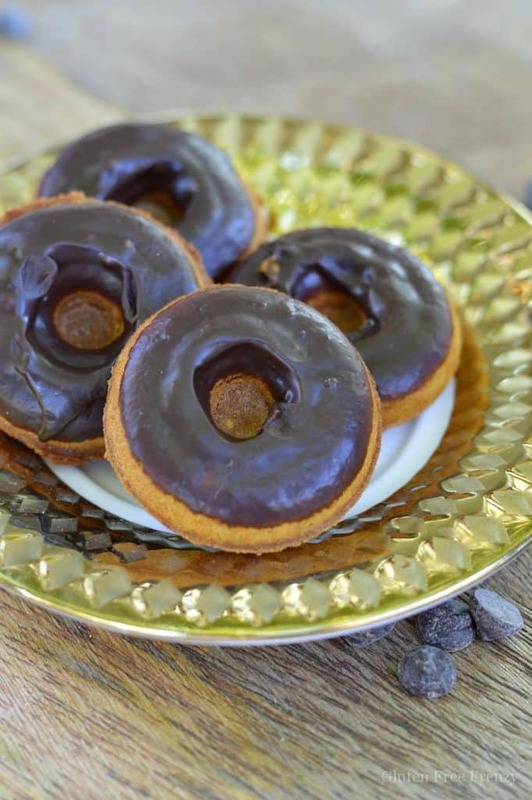 These chocolate dipped pumpkin spice donuts by Chandice from This Vivacious Life look amazing! 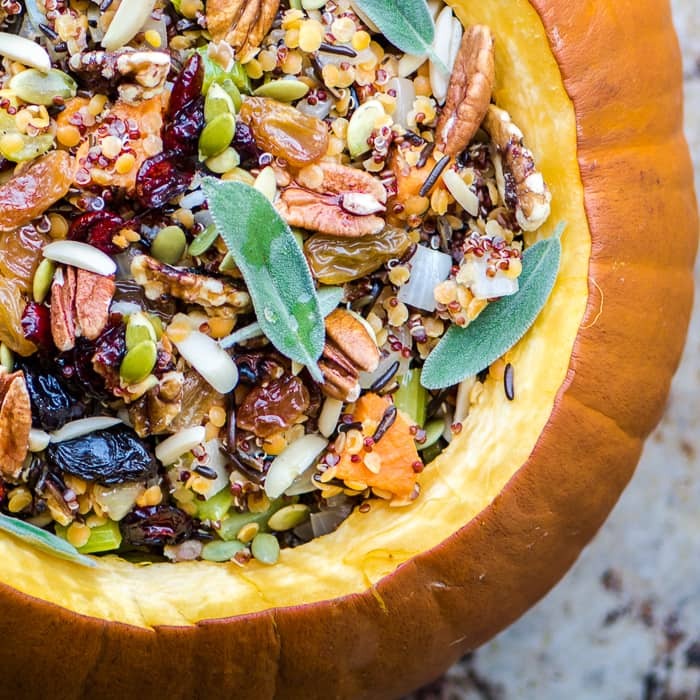 This pumpkin granola by Rachel from Bakerita makes the perfect fall breakfast! 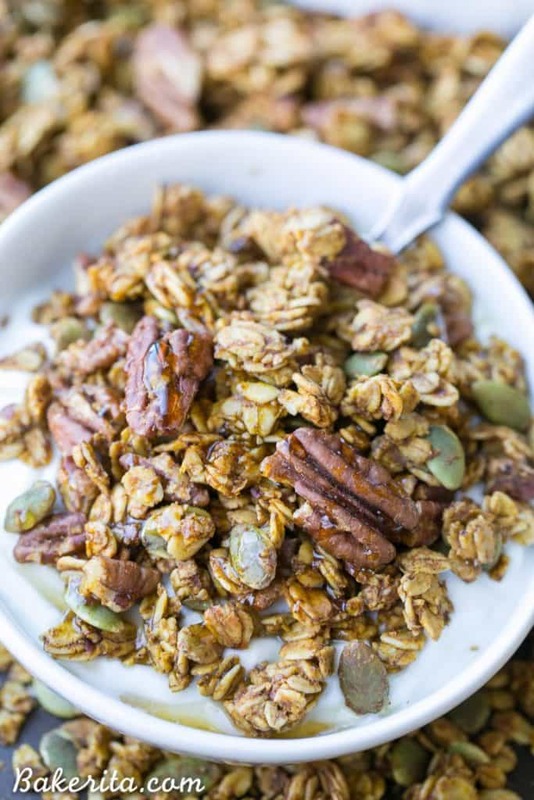 Rachel used pecans, pepitas, and maple syrup for this crunchy granola. You won’t be able to stop snacking on this gluten free and vegan granola. 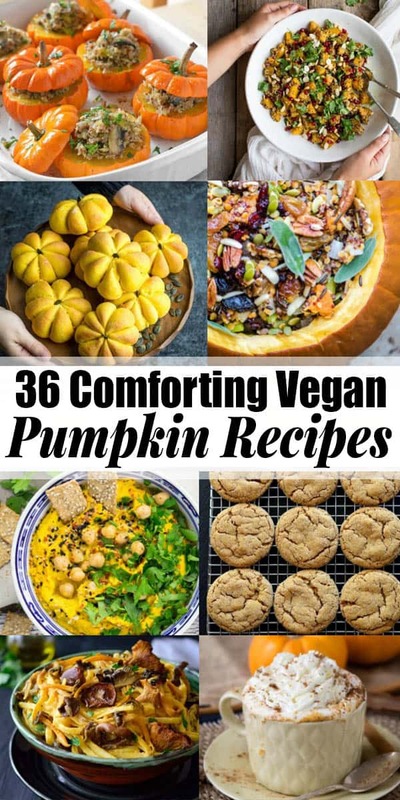 I hope you like these vegan pumpkin recipes as much as I do. During fall, I just can’t get enough of pumpkin recipes! Thanks so much for including my recipes! What a delicious looking fall roundup. Not quite ready to give-up summer yet but heading here once I am! Thank you so much for including my recipe and getting me in the Fall mood!! Sharing! Thanks so much for putting this together. My readers have already started asking for all things pumpkin so this will be right up their alley! I want them. All. Of. Them. Seriously, they look delish.